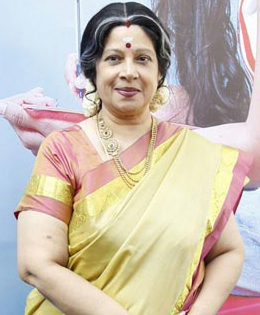 Veteran actress Jayachithra who is known for her roles in Ilamai Oonjal Aadukiradhu, Arangetram, Pattampoochi, Pattikkaatu Raja is now making her re-entry in Tamil after a long gap of seven years. She has starred in several super hit films in Tamil and Telugu apart from directing a couple of films. Her last Kollywood flick was ‘Naane Ennul Illai’ that had her son Amresh Ganesh as the male lead. If latest reports are to be believed, the actress will now be seen playing the role of a grandmother in director Chandramouli’s upcoming flick ‘100 % Kaadhal’. As per a source, “Her role is crucial in bringing the lead characters — GV Prakash and Shalini Pandey together in life. We are looking forward to see her performance on screen”. She would be doing an important role in 100% Kaadhal which is the Tamil remake of the Telugu film 100% Love. The Tamil remake recently went on floors with a customary Pooja. The Tamil remake has GV Prakash as the hero and Shalini Pandey of Arjun Reddy fame is making her Tamil entry through this film. Apart from Jayachitra actress Rekha is also part of this light-hearted romantic comedy.